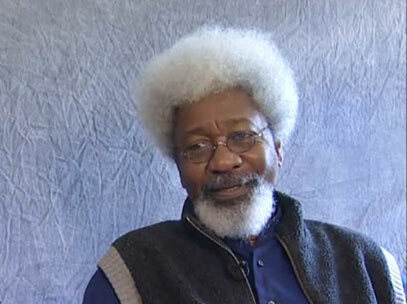 Nobel Laureate, Prof. Wole Soyinka has said he is content with the efforts made by the All Progressives Congress, APC, government of President Muhammadu Buhari in completing the first phase of the Lagos-Ibadan standard gauge rail from Iju Lagos to Abeokuta. He stated this on Friday in Abeokuta, Ogun state during the declaration of a three-month free train service by the Federal Government on the newly-inaugurated rail line. This is coming on the heels of Soyinka’s endorsement of the presidential candidate of the Young Progressives party, YPP, Kingsley Moghalu earlier in the day. At the train station in Abeokuta, Soyinka in his goodwill message said, “This is not a political vote gathering occasion but my house is somewhere in that direction not far from here and this used to be part of my hunting grounds and so I came to see for what my hunting grounds were appropriated and so far, so content. “For now we are keeping our feet on the ground looking at the opportunities for our small traders, commuters, etcetera. Meanwhile, dignitaries had embarked on the train ride from Iju in Lagos to Abeokuta which is about 61 kilometers of the entire 156-kilometer stretch of the project. The train took off from Kilometer 21 and stopped at Kilometer 82 in Laderin, Abeokuta. However the Vice President Professor Yemi Osinbajo who was initially billed to grace the test-run was absent without any reason given for his absence. In the train were the Minister of Transportation, Mr. Rotimi Amaechi, Governor Ibikunle Amosun of Ogun state, the paramount ruler of Egbaland, Oba Adedotun Gbadebo, Managing Director of the China Civil Engineering and Construction Company (CCECC), Jiang Yigao, Managing Director of the Nigerian Railway Corporation (NRC), Engr. Fidet Okhiria, among others. On his part, Amaechi declared the occasion was not a commissioning but a test-run of the first phase of the project, saying as from Saturday a three-month free train service would commence. He said the train would run thrice daily; in the morning, afternoon and evening to enable people go to work in Lagos and return to Ogun state evening.